The Deacons Ministry is committed to serving First African Baptist Church according to the Word of God. In I Timothy 3, you can find a bulk of the qualifications and expectations of a Deacon in the church. Along with the expectations of being a follower of Jesus Christ, FABC Deacons try to serve the church in any way possible. You can find Deacons leading devotion, assisting the Pastor, distributing Communion in regular church service as well as to the sick & shut-in of the church, visiting sick & shut-in members, teaching, and being leaders of the church, and more. 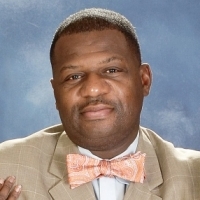 The Deacons Ministry is currently led by Deacon Frank White, III. If you know of any sick & shut-in member that needs visiting, a sick & shut-in member that would like to receive communion after regular church service on the 1st Sunday of every month, or have a concern, please feel free to use the contact info below or see one of our deacons.